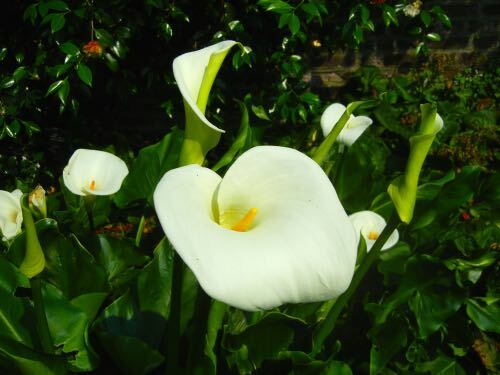 Zantedeschia, Calla Lily or Arum Lily belong to the Araceae family of plants. Zantedeschia native to South Africa it is a plant that can be grown in the garden as well as in containers. It can thrive in sun or partial shade in moist soil, you can even use it in a water garden in shallow water of up to 30 cm deep in baskets or clay pots. 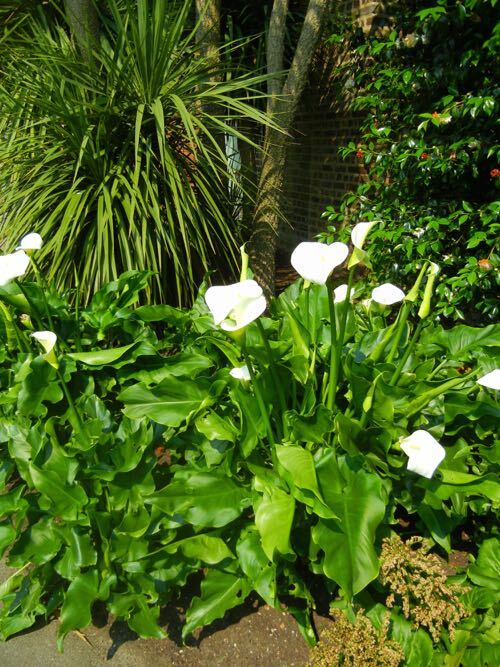 Zantedeschia is rhizomatous perennial and herbaceous. It is an evergreen in areas where there is enough supply of moisture whereas in dryer climates it is deciduous. Calla Lily grows up to 90cm tall. It has large dark green leaves and white flowers in spring, summer and fall.